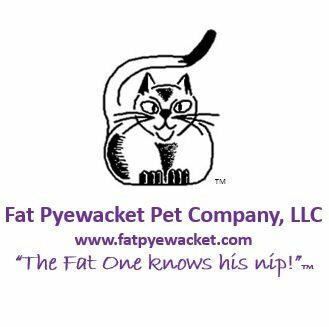 All Fat Pyewacket products are made in the U.S., and all of their catnip, cat herbs, seeds for cat grass, and the soil in their cat grass kids is certified organic. The quality and the purity of the ingredients and materials they use in their products provides us with a comfort level and confidence that their product is safe and natural to give to your cat. Stop by this Saturday from 12 - 3 p.m. and pick up a sample of Fat Pyewacket and give your cat a special treat!